Girls can have boxer briefs too! 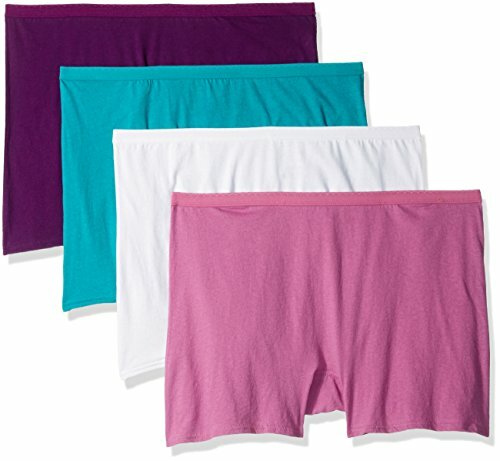 these women's cotton boxer briefs are ideal for when you want a little more coverage but don't want to sacrifice a modern fit. These boxer briefs provide you with the perfect leg length. It was designed to be long enough to stay in place and help prevent chaffing. Wear underneath dresses or just to lounge around the house! fit for me underwear by Fruit Of The Loom is made for curvy women. You can feel your best knowing that these boxer briefs were designed to fit your shape.